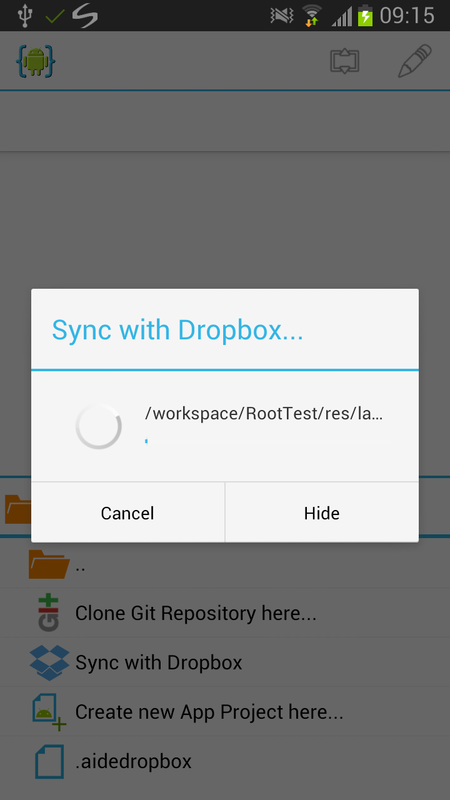 How to use AIDE's integrated Dropbox sync. 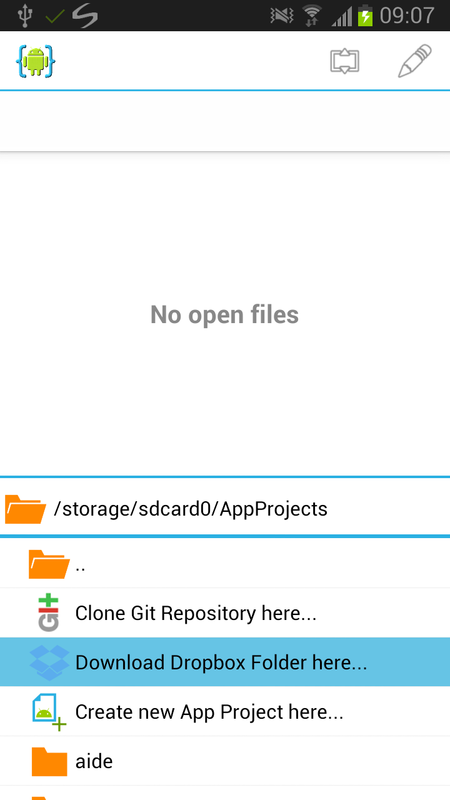 Make sure you have a Dropbox account and uploaded the source files of an Android project you want to work on. Install AIDE from Google Play on your Android device (all Android versions from 2.2 are supported) and start it. 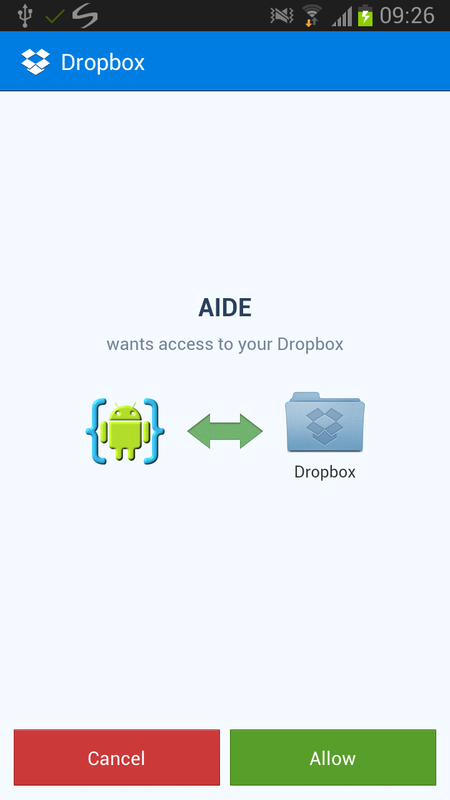 AIDE comes with a built-in Dropbox client, so there is no need to install anything else. AIDE has a built-in Dropbox sync that makes it easy to sync a Dropbox folder to your SD card. 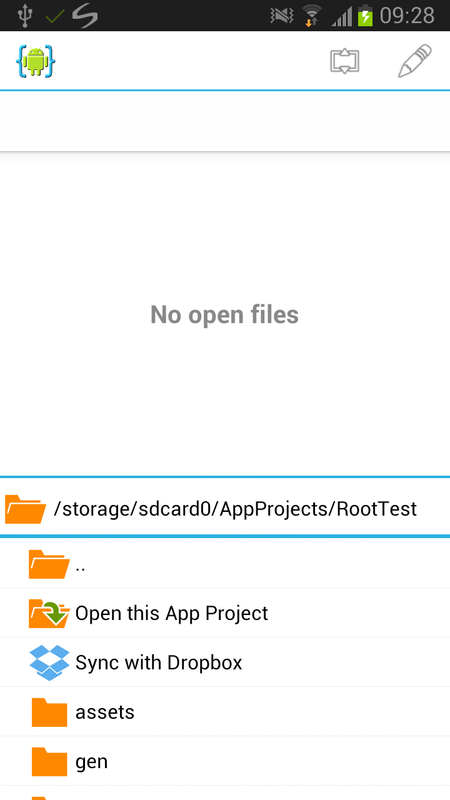 To download a folder from your Dropbox for syncing open AIDE's integrated file browser and go to a folder where you want to download the Dropbox folder to. Then tap "Download Dropbox Folder here...". You will see Dropbox's login screen asking you to give AIDE permission. 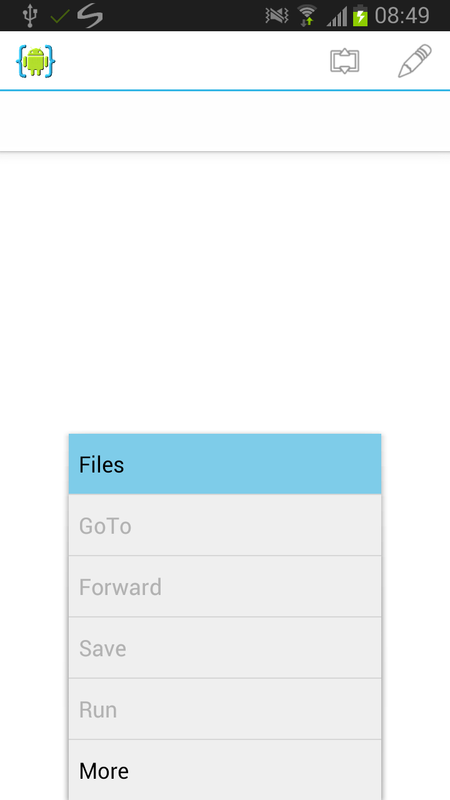 Once AIDE is connected to your Dropbox it will show the contain folders. Select the folder you want to download (and sync) and tap "Download". The folder will downloaded to your SD card - this can take a while depending on it's size. 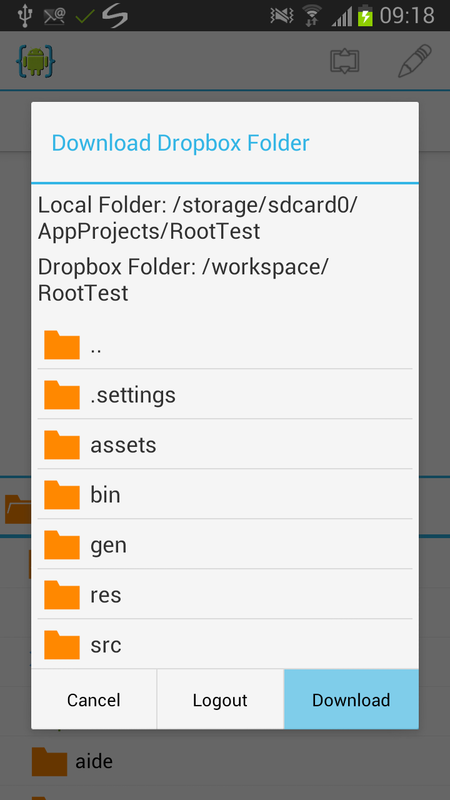 AIDE will keep the content of the SD card folder with the selected Dropbox folder in sync. 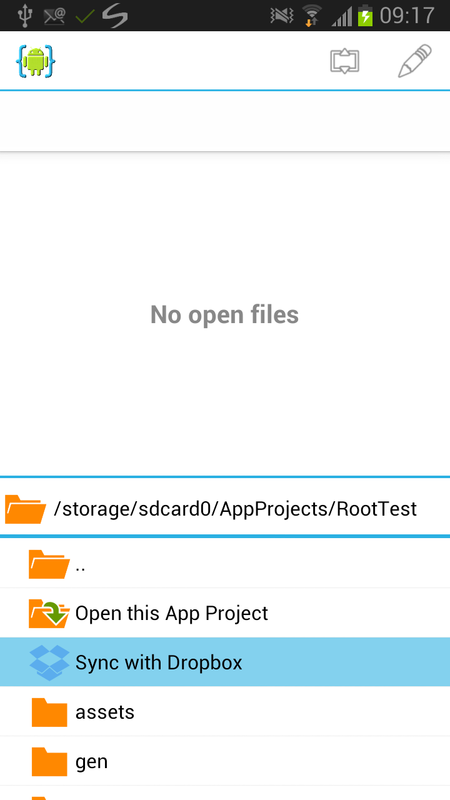 You can open app projects in the folder and work on them or even create new projects in the synced folder. AIDE will keep the content of the SD card folder with the selected Dropbox folder in sync automatically. Whenever you open a project or file, or change a file it will try to sync. This behaviour can be disabled in the settings. Additionally, you can manually make AIDE sync a folder by choosing "Sync with Dropbox" that is shown inside Dropbox synced folders in AIDE's file browser.